This plate has a pebble texture to the glass. As each piece is created it forms a unique imperfect circle. Each plate is slightly different. This plate is about 10" diameter. 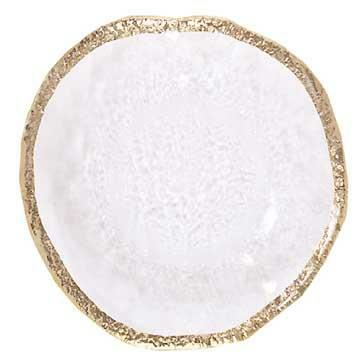 We recommend this plate as a salad or dessert plate.